We will be bringing everyone together in the location where San Diego began with a civic ceremony to commemorate our shared history. As honored guests, officials and the Kumeyaay Nation gather atop Presidio Park, the sunset stretching for miles across the San Diego region will set the scene as we honor our past and envision our future. 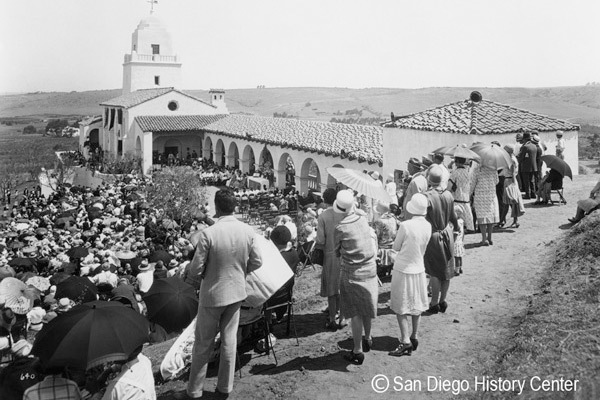 Held at the site of the old Spanish presidio, this event will feature a press conference, dedication of the new Kumeyaay flag, VIP tour of the new exhibits at the Junipero Serra Museum, entertainment and refreshments. The public portion of the event will take place in the museum parking lot, tented with seating. Parking and shuttles will be coordinated, as space is limited. Everyone is encouraged to continue this celebration of history and culture in Old Town, following the ceremony. This event is free to the public.